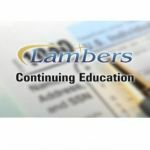 PPACA Shared Responsibility Payments and Premium Tax Credits: Federal Tax Matter (Non-Exempt Candidates Only) – Lambers, Inc. This course is intended for Uncredentialed/Non-Exempt Preparers only. This 3 credit hour CE/CPE course will cover what is Minimum Essential Coverage (MEC) and how to report it. We will drill down on a number of the Coverage Exemptions, and when necessary show how they are calculated and where they are to be reported on new Form 8965.If the taxpayer does not qualify for the MEC, we will show you how to calculate the new Shared Responsibility Payments (penalties) as we walk through illustrations and show the computation on the actual worksheets that come with the new Form 8965. For those taxpayers who qualify, we will also show the computation of the new Premium Tax Credit on Form 8962, along with how to reconcile any Advance Payments of the Premium Tax Credits. In addition if Shared Policy Allocations are necessary, we address that topic as well in this course.